This is one of the most memorable lines spoken the fund raiser for PCRM’s Research Without Cruelty campaign that took place last Sunday at Millennium Restaurant in the heart of San Francisco. 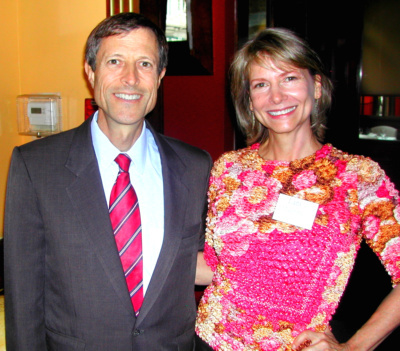 Spoken by none other than the brilliant and energetic Dr. Neal Barnard, champion of the healthy vegan diet and advocate for human health and animal welfare at the highest levels from his office in D.C., it sparked an evening of festivities that would refurbish the motivation for change for even the biggest slacker amongst us. I wish I could give you a direct injection of the heart and enthusiasm this event generated for moving the cause forward. This snapshot and a few anecdotes will get you started. I’ll be covering more about the details of this event in future articles here and at my columns at Vegan Mainstream and examiner.com. Yet with so many angles to cover (wait til you hear about my dinner with the Toxicologist!) I wanted to share with you what’s at the top today: The motivation that comes with connection, and how you can tap into it for realizing your own goals and dreams. Let’s face it. When you have made the big changes to plant-based diet as you have, or if you are just getting started, you can often feel someone alone if you don’t have a buddy in the neighborhood to help support your dreams. Add to that being faced with new recipes and menus, new foods, and taking some long last looks at old favorites that you are phasing out, and the challenge can seem steeper than you first suspected. This is simply because you are learning something new, or you have lost the fire in your belly for change, or both. It doesn’t have to be this way and there are simple solutions. 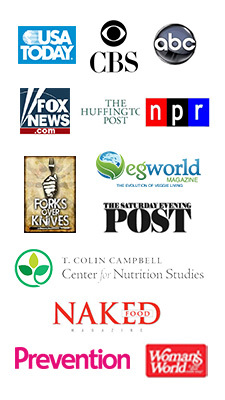 Besides arming yourself with an education and good food, the first stop for making change is motivation and support. By staying connected with those further along the path than you are right now, you will be pulled forward. Not everyone can have the opportunity to spend an evening with Neal Barnard and a roomful of other people with a bright flame for positive change burning in their bellies, of course. But you can share virtual rooms via hot spots all over the internet to fan the flames of your most burning desires. By bookmarking key blogs, pages, and resources of support – and visiting them every day – you will get big doses of motivation by that very connection. Today, find 3 key locations that support your desire for health, conscious eating, weight loss, plant-based dietary change, and healthy fitness. Then, make a commitment to visit each of them every day. That’s all! Your commitment is to taking the action of connecting with places that educate and motivate every day. And watch what happens. Below in replies, please share your top 3 – 5 favorite blogs, forums, or facebook groups (besides this one!) to go to for inspiration and connection with your fitness, weight loss, or healthy living goals. Tell me what it does for you – does it help you eat better? Get your exercise in? Get the junk out of the house? Anything, no matter how small – if it helps you on your journey, share it! Chances are it will help another as well. Guess who took a stand in class? OK, I KNOW that has motivated you! Now share those spots you like to go for reinforcements below! Thank you! What an interesting story! Sounds like a fantastic event and the picture is an inspiration, too. Thank you for reporting in so quickly. Besides coming by here for getting inspired, I also like to go to the McDougall Forums and Fat-free vegan for recipe ideas. thanks for all that you do Lani! Hi Gail. My pleasure! And thanks for sharing your fave spots. This means we are connecting at McD, too. Do you know a brand new McDougall facebook group has been formed? 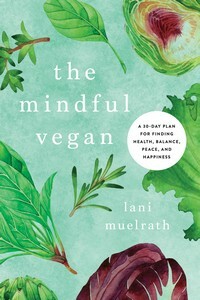 It’s called McDougall Friends – search it out and come join us, it’s very active already and people are suggesting some great topics for articles right here on the plant-based blog! You are right – reading this article inspired me all over again! What an amazing photo – you both look so energetic! I like the vegan and vegetarian friends group at facebook, and have seen you there. Engine 2 blog has some good articles too – I love your posts there! Jennifer, vegan and veggie friends is great! And thanks so much for your kind words about my Engine 2 columns – it’s definitely a fun group over there! I get a lot of great recipes and inspiration from Happy Herbivore. Lucy, absolutely! Lindsay’s work is amazing. We plan a Teleclass together so be sure you are signed up for my newsletter to stay in the know. Websites I like: McDougall; Fuhrman; World’s Healthiest Foods; PCRM; American Institute for Cancer Research (AICR); Pritikin (occasionally). Thanks for mentioning Engine 2; I had forgotten about that one. Hey Melody, great list – I will have to check out “World’s Healthiest Foods”! Thanks for sharing your list here. Hi Lani, WOW what a great evening it must have been. I recently ordered the Millennium cookbook to see if I can McDougallize any of the recipes! I LOVE Susan and Fat Free Vegan, she has been inspirational for a long time now and I know I can trust her recipes to be healthy and yummy. Drs. 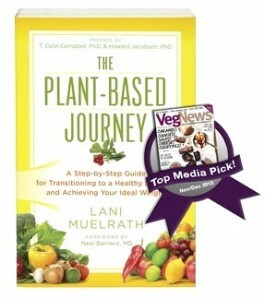 McD, Barnard, Greger, & Fuhrman, http://www.Nutritionmd.org and http://www.Nutritionfacts.org, and ofcourse YOU! Thanks for all you do to keep us all motivated! MiMi, it was an amazing evening and I’ll be writing more reports. Millennium is amazing and though fat-free is not the priority there, for an occasional splurge it can’t be beat and I love the ambiance! I’m thinking it would be a great place to have a book event went the Fit Quickies book comes out. What do you think? Please share how you McD the recipes when they come – promise! MiMi, I also want to let you know – if you don’t already – that the owners of Millennium are McDougaller’s, and absolutely fabulous folks! I’ll be posting more pics from the PCRM event soon here and on other columns so you’ll see them soon. Let me know how your recipe morph goes! Perhaps a visit to San Diego may be in your future? If so, count me in on whatever event you participate in! 🙂 I’m so glad that my post blessed you as your willingness to share your experience and knowledge certainly has done that for me! Have a wonderful Wednesday, Lani! Hey Molly, I usually assume the answer to my question “where did we meet” is in an online connection! So you answered that perfectly. Celery stalker! I love your sense of humor! Wednesday is going great so far,took a walk, just finished my Fit Quickie workout, and all after a ginormous bowl of oats, peaches and apricots, of course!